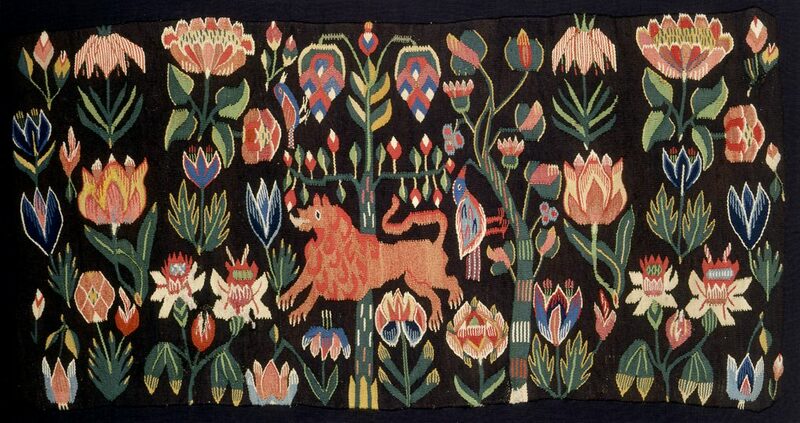 For almost 100 years from the middle of the 18th century, a little-known and very beautiful art flourished in Scania, the southernmost region of Sweden. 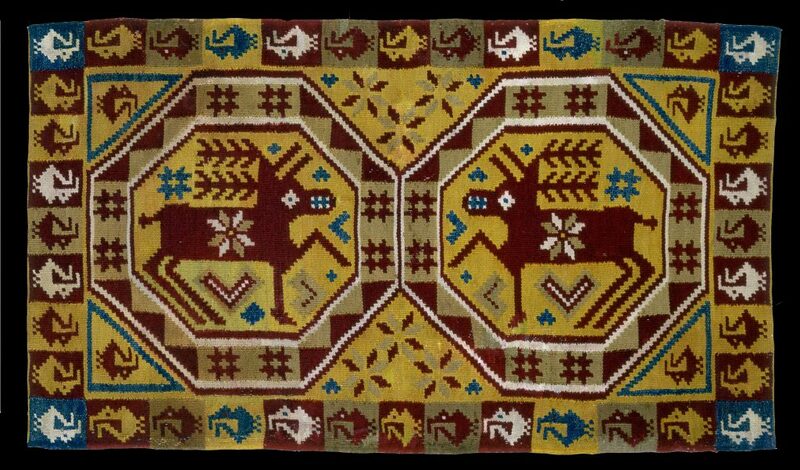 This was expressed in small textile panels that were mostly made for wedding ceremonies. While these textiles were functional in that they were an essential part of the ceremony, they were also made in order to demonstrate the artistry and skill of the weaver. Their designs were o en symbolic of fertility and long life, and a sense of hope and joy can clearly be seen in these objects. 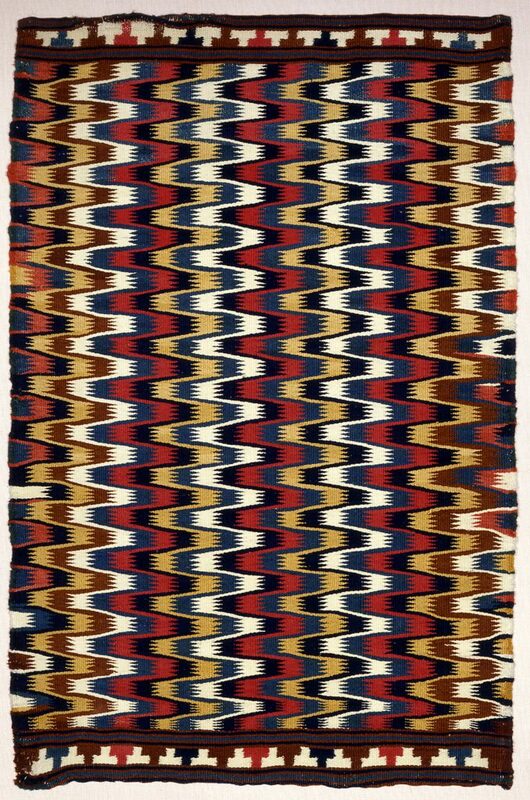 Their extraordinary patterns are not only of interest to collectors, connoisseurs and contemporary weavers, but also represent a comprehensive design source, foreseeing many modern aesthetic concerns and contemporary visual language. 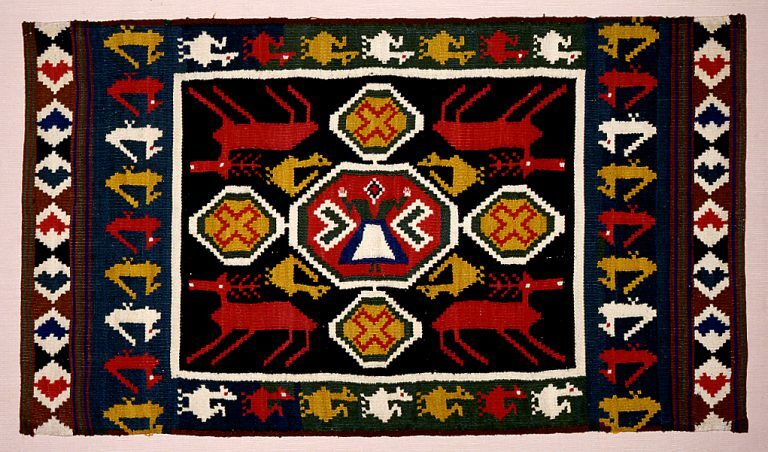 Professor Khalili’s interest in Swedish textiles was initially aroused by their striking patterns and artistic appeal, with which similarities can be found in Roman, Byzantine and Asian art. This is hardly surprising, as patterned textiles passed along the ancient Silk Road in both directions for more than 2,000 years, designs were copied, and Sweden had traded with the Mediterranean countries during much of this period. 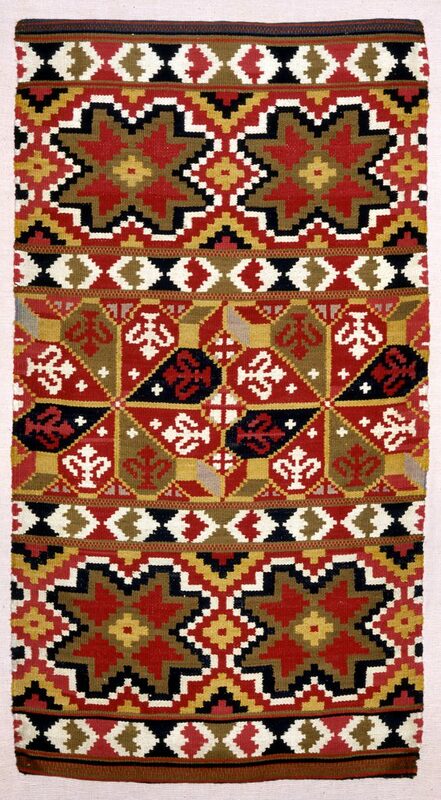 The colours and the appeal of the designs remain as fresh and vibrant today as when these beautiful weavings were created during the high period of the art, over 150 years ago. Each textile is a work of art in its own right. 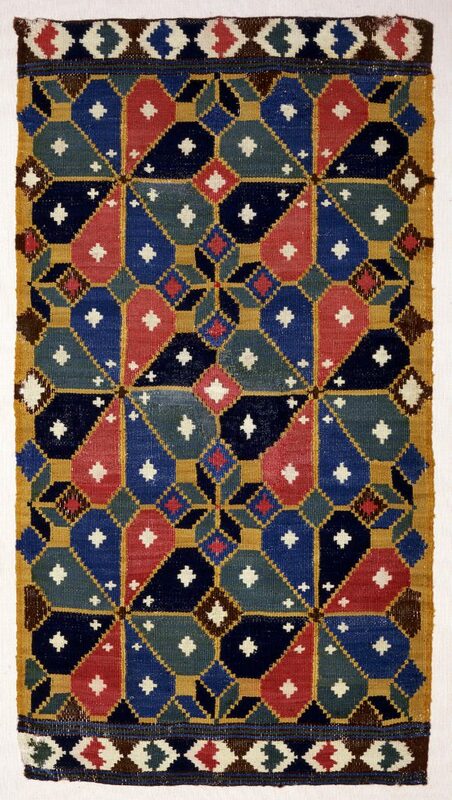 The extraordinary patterns are not only of interest to collectors, connoisseurs and contemporary weavers, but also represent a comprehensive design source. 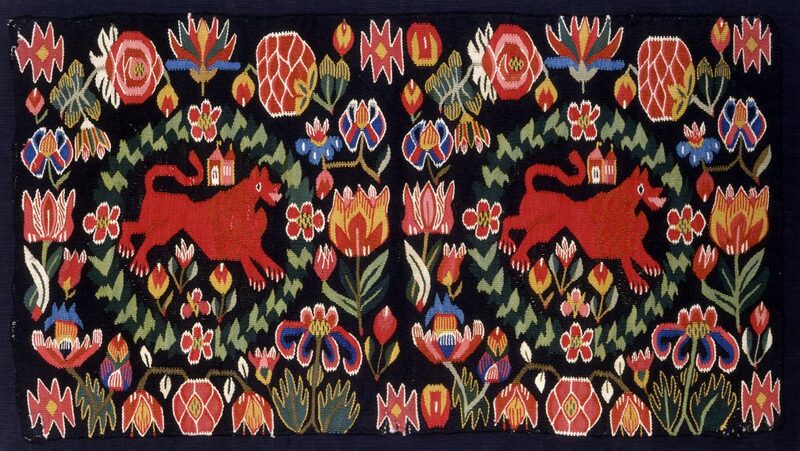 Swedish Textile Art is the first book for more than a decade to present some of the best examples of textile art from southern Sweden, small panels that were mostly made for wedding ceremonies. 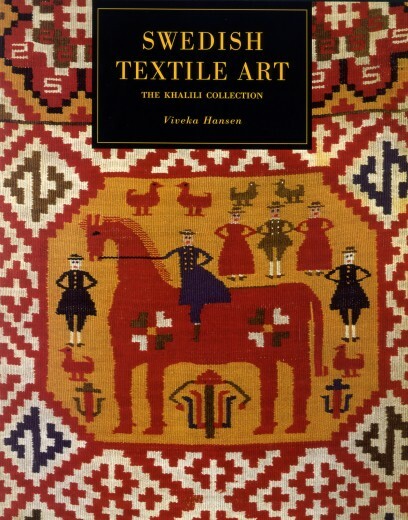 The 95 textiles from the Khalili Collection illustrated in the sumptuous colour plates of this volume are woven in a variety of techniques, and display the full range of the traditional designs of Scanian marriage weavings. 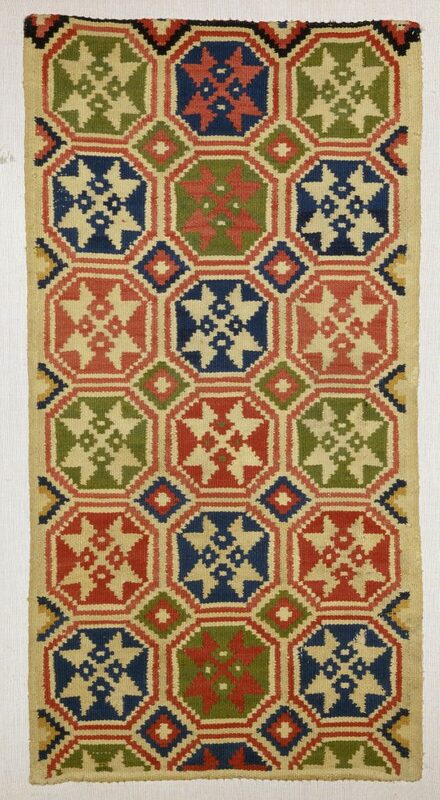 conditions in Scania and the lives of the weavers, as well as the techniques, designs and materials that they used. This publication is intended to serve both as a dazzling picture book illustrating the finest examples of Swedish textile art and, with its thorough and enjoyable text, as an essential reference work.